Art Alternatives titanium-based white acrylic primer provides a reliable, classic foundation which is permanent, non-yellowing and flexible when dry. No prior sizing necessary. 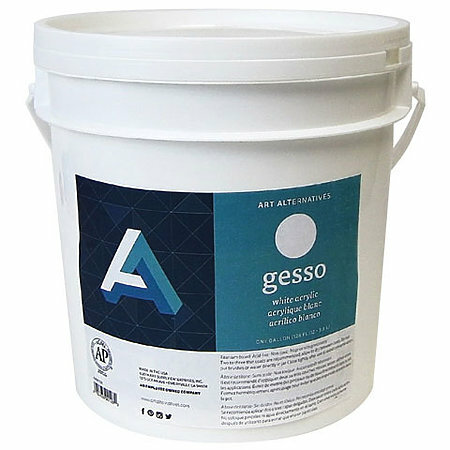 Great for artists and students alike, it may be used on a variety of porous surfaces, such as canvas, wood and other panels, or paper with oil, acrylic, alkyd and spray paint. Multiple coats may be sanded to create a smooth portrait surface.